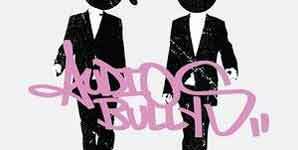 Audio Bullys make a return to form with their new single 'Only Man' released at the start of March. This is the first track from their new album Higher Than The Eifel released through Cooking Vinyl. It's been over four years since Simon Franks and Tom Dinsdale released material together. 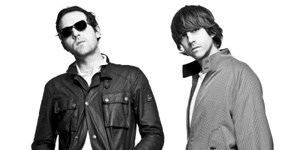 Their last album Generation featured the hit single 'Shot You Down' which used a sample of the classic Nancy Sinatra track 'Bang Bang (My Baby Shot Me Down)'. Speaking about the new album Simon said it was one more for his friend rather than the record label.